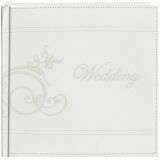 Embroidered Scroll Leatherette Photo Album 8"X8" 200 Pockets - PIONEER-Embroidered Leatherette Wedding Album. 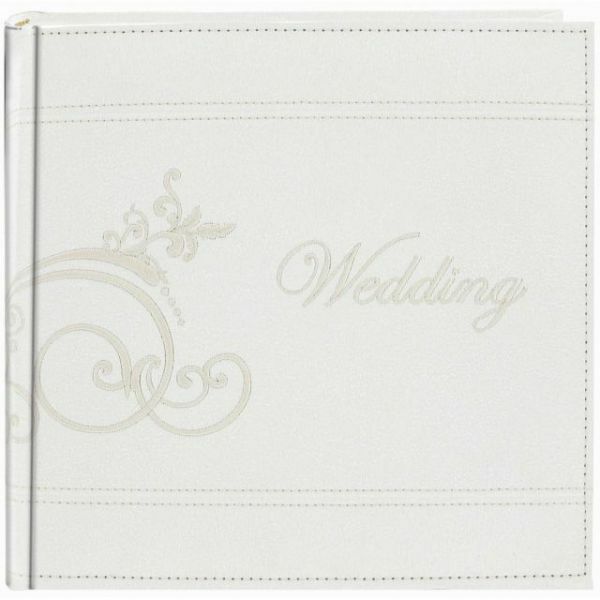 This album features a faux leather covering with beautiful embroidered details. Inside you'll find fifty photo pages: each page holds four 4x6 inch photos (two front and two back). Album measures 8-3/4x8-3/4x2 inches. Not expandable. Imported.